The WTA is the principal organizing body of all things professional women’s tennis. It’s no wonder the WTA has a massive following of fans all around the world that tune into their site to get updates on scores, schedules, individual players, and much more. 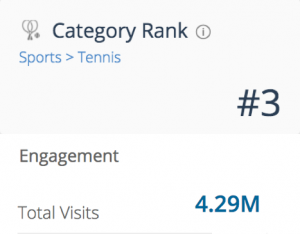 This causes WTAtennis.com to be ranked the #3 most visited website in the tennis category with an average of 4 MILLION website visitors over the last 6months. Though the WTA was receiving massive amounts of traffic, there was only one problem – the experience people were having on the site was not up to their standards. That’s why we were brought in to redesign their site to give it a more modern appeal and provide a beautiful user experience to their loyal fans. With an audience of this size and a reputation like the WTA, we needed to deliver something excellent. Working with the WTA team, our main objective for the new site was not to do a complete overhaul of the design, but to create a more minimalistic design that would result in a better user experience. For the purpose of this case-study we will highlight a few of the major changes that were made to the site, if you would like to explore the site in full, you can do so here: WTA. One thing that was apparent with the WTA site, like may sports websites, is that people a massive amount of people are coming to the site just to keep up with the scores. WTA knew this to be true which is why in the old design of the site, there was a match score displayed, with the option to view all live scores. As you can see in the redesign, we wanted to make it an even better experience for people coming to check up on the live scores. That’s why there is a slider that allows visitors to easily scroll through all of the live and recently completed match scores without navigating off the home page. When users are navigating through a site it is easy for them to be overwhelmed when there are too many options for where to go. This tends to result in the user not being able to find what they were looking for or simply not enjoying the time they spent on the site. By taking a minimalist approach to the site navigation we were able to simplify the user experience, and provide a structured way for them to move through the site. With the continuous shift in consumer behavior away from desktop browsing to a mobile-first world, along with Google’s algorithm update to Mobile First Indexing, having an incredible mobile experience has never been more important. 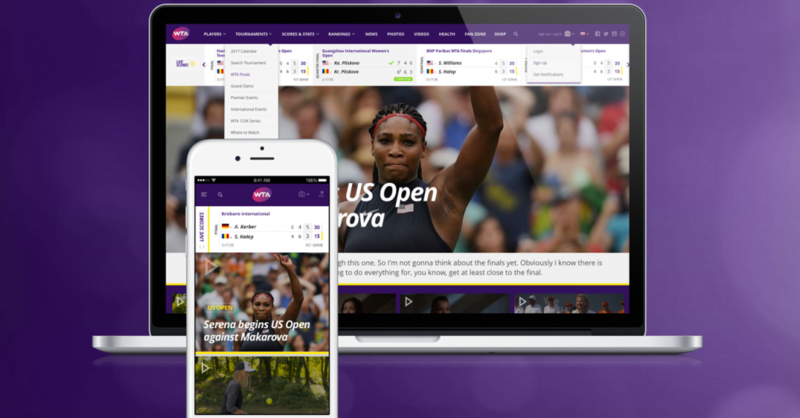 We took a mobile-first approach to designing the WTA site to ensure that there would be a seamless experience for visitors whether they were on desktop or mobile. In the end, the results of this beautiful redesign would not have been possible without the help of the team over at WTA providing valuable insights as we iterated through the process.